Presentation folders are a staple product for most schools and are a great way to professionally present documents to parents. Having a raised profile (capacity) spine facilitates a number of inserts to be placed inside. A range of board finishes and weights are available this ensures your folders suite your purpose. 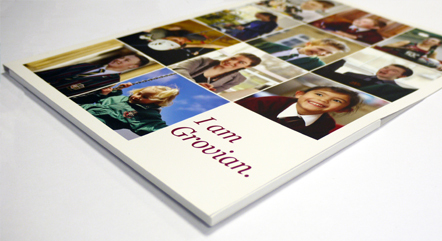 Folders can be embellished with a range of finishes including Gloss or Matt Laminates, Spot UV varnishing used to highlight wording or logos, or even metallic foiling.